​If you used to utilize your pool deck more often than you do now, it might be due to its appearance that you no longer use it. Some homeowners put a lot into the appearance of their pool deck. Some spend hours getting it just right and then the next year, they start all over again. This may involve their painting, sanding and finishing their deck. 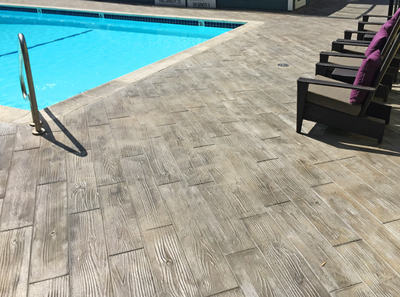 If you are tired of the look of your pool deck, give us a call at Elkhart Stamped Concrete where we will be happy to assist you with the improvement of your pool deck. 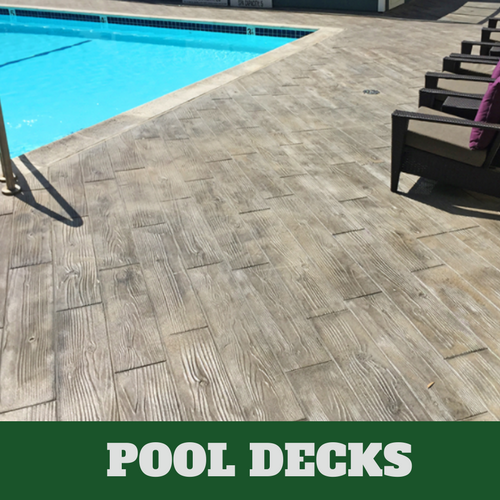 We’ll introduce you to the idea of a stamped concrete pool deck, if you are not already familiar with it. 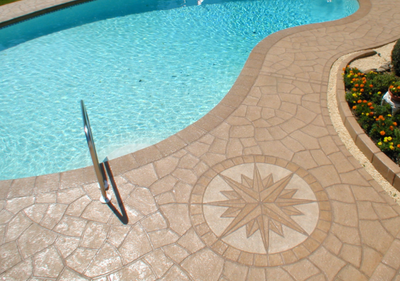 With stamped concrete, you won’t have to pay as much to decorate your pool deck. 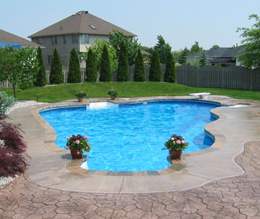 Give us a call and we are happy to assist you with your new pool deck design. Our concrete contractors have plenty of experience in the industry and they are capable of assisting you with your service needs, big or small. 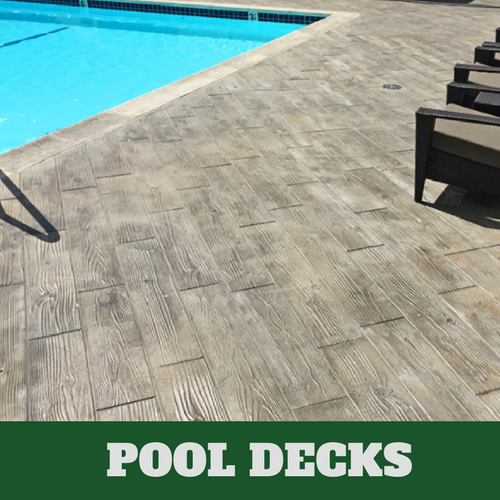 If you have a pool deck that you are no longer using, let us do something about it for you. 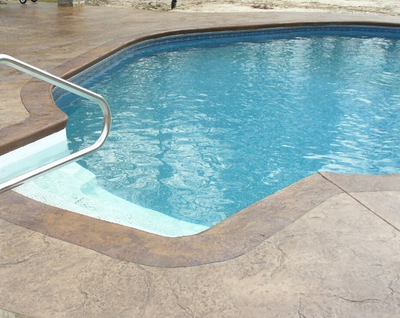 We are certain that our contractors will be able to improve the appearance of your pool deck. 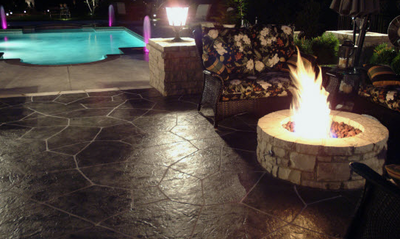 If you have decided that stamped concrete is the way to go, you will have to decide which design works best from you. 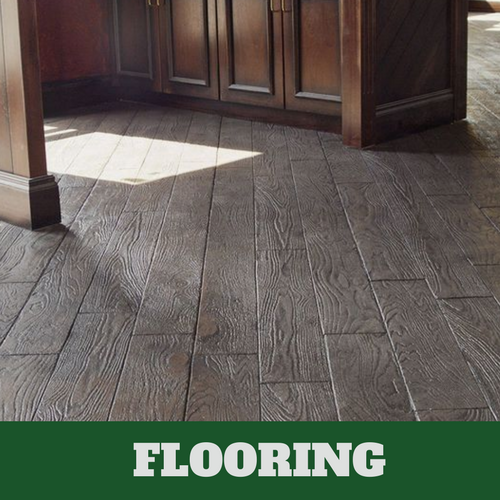 There are plenty of stamped concrete designs to choose from, like tile, stone, brick or some type of wood pattern. There are also plenty of patterns to choose from. Don’t forget about your deck stain. 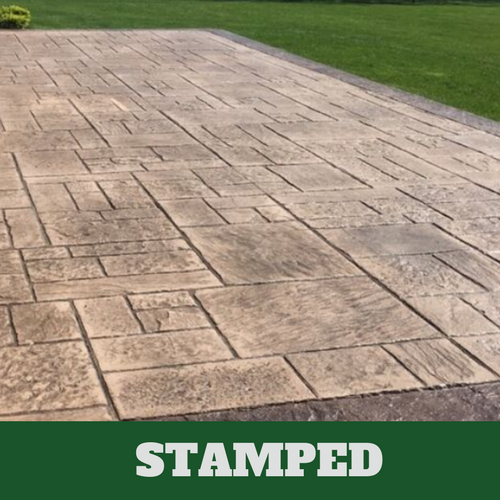 Yes, there are lots of options that are available to you when you choose stamped concrete. 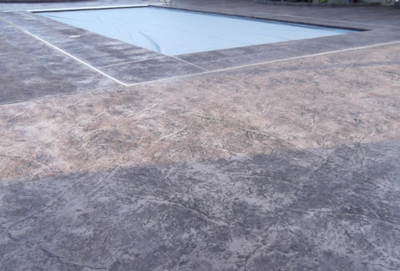 There is no one size fits all when it comes to your stamped concrete needs. 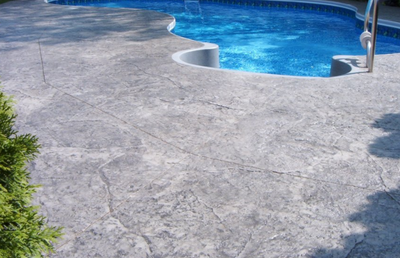 We are sure that we will have what you are looking for at Elkhart Stamped Concrete. Call us today to speak with one of our professional associates about your many options. 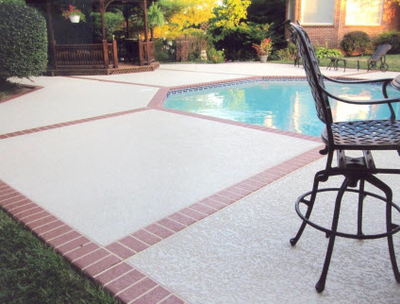 There are pool chemicals that are used around your deck that can start to erode it. Sometimes these same chemicals are stored on the pool deck. 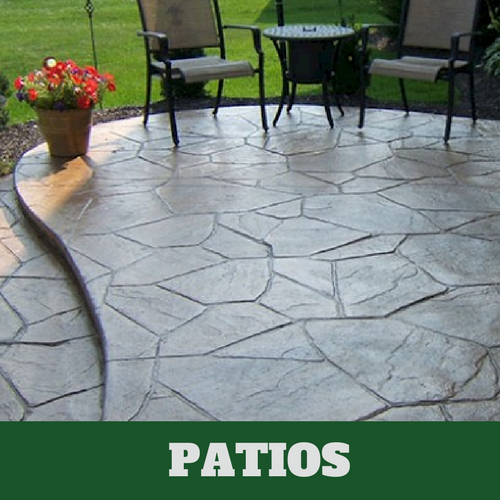 We help prevent it from fading or cracking by sealing your stamped concrete deck. It is also helpful to have your deck sealed because it prevents people from falling. 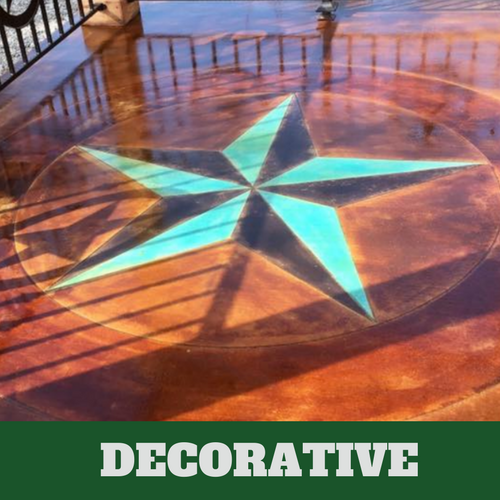 Our concrete contractors can also apply color to your deck that is light so that it doesn’t burn the bottoms of your feet. 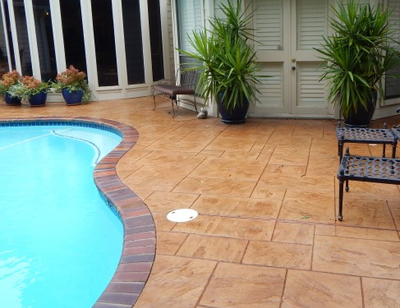 There is so much that we can offer to you to improve the look of your pool deck. Our concrete contractors offer you quality services that you aren’t often able to find when you hire a professional service provider. 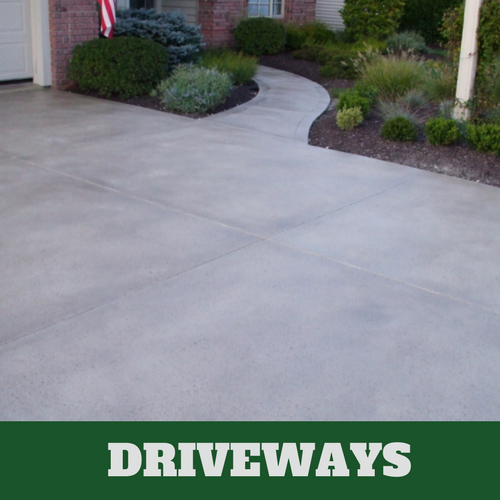 When our customers call on us for their concrete service needs, they are assured of being able to receive the money’s worth. You would be doing yourself a favor to contact us because we offer satisfaction.